In this in-depth video interview with Jeanne Schumacher of starchqueens.net, I describe the mindfulness practices as taught in The Mindful Vegan: A 30-Day Plan for Finding Health, Balance, Peace, and Happiness that have restored a healthy, happy relationship with food, eating, and her body – along with a new ease of living – and have kept an excess 40 – 50 lbs away for twenty years. We dive into some under-the-surface questions usually not explored in our usual lose-twenty-pounds-yesterday culture. ~ Have you ever struggled with your relationship with food, eating, and your body? ~ Have you ever experienced cravings? ~ Do you think you might be addicted to sugar or food? ~ Are you troubled by mindless snacking and stress eating? ~ Are you exhausted from the search for the perfect ‘diet’ out there – one that will end cycles of weight loss and weight gain – or net gain – without having to stay hungry, strict rules, or locking yourself in your house? 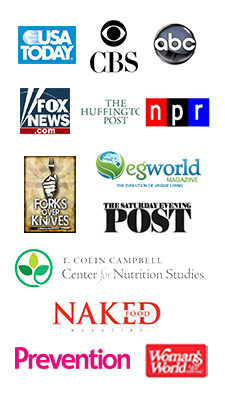 Inspired by the content of The Mindful Vegan: A 30-Day Plan for Finding Health, Balance, Peace, and Happiness, Jeanne skillfully and with the curiosity of expert journalist gets right to the heart of what restored to me a healthy, happy relationship with food, eating, and my body – and resulted in a 40 – 50 lb weight loss – both of which have been sustained for the last twenty years. All in spite of 30 years of yo-yoing weight, decades as a career dieter, and the obsession and anguish that come with it all. Previously – from my first diet attempts to lose weight in 7th grade – my weight loss efforts were built on a craving to be thinner, hooking the shame of excess weight, and grasping one restrictive food plan after another to just drop some pounds. It is the mindfulness practices as I teach in The Mindful Vegan that liberated me from this no-win nightmare. In spite of repeated ‘successful’ weight loss efforts along the way, every one of them eventually – some sooner rather than later – led to weight regain. And, even worse, a net gain above the weight at which I started with the most recent diet attempt. Working with my body, eating when I am hungry (and not waiting until the next meal, or when it is convenient, or until you can’t stand your hunger any more) is what led to my liberation from cravings, food obsession, and what I thought was a ‘food addiction’. However, letting go of the usual controls and the diet addiction (where we keep coming back to diets despite a dismal failure rate) was a scary proposition. Mindfulness practices are what made the difference, allowing me to walk right through the middle of letting go of controls in the usual fashion and handing over the guidance to finding my naturally healthy body by eating mindfully according to my body’s natural fuel signals of hunger and fullness. Response to this conversation with Jeanne have been so strong that she has asked me to return for a followup interview. Now is your chance to make suggestions about our next conversation. Does this video inspire any questions or topics you’d like to see explored further? Please share them in replies below – or feel free to email me with your ideas at lani@lanimuelrath.com. Hope you enjoy this conversation with Jeanne Schumacher! I find this video not only very interesting, but inspiring AND comforting. This different way of looking a food, eating, and weight is so different from what we are used to hearing. Having Jeanne ask the questions and seeing her reaction actually made this point even stronger. So this was a really good format for this information. 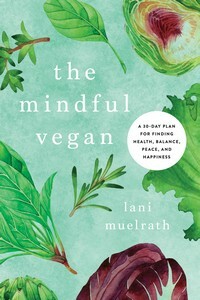 I just got my copy of The Mindful Vegan and have started reading. I look forward to more videos! I see that you have chapters in the book on addictions and cravings, and I can’t wait to read what you have to say about that on top of what you talk about and share in the video. Thanks for bringing this message our way! Thank you! I am so happy to read your comment this morning. 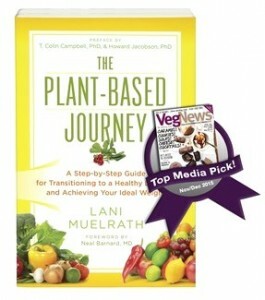 I am so glad you enjoyed our conversation, and thrilled that you have your copy of The Mindful Vegan in hand. And you are right about how Jeanne’s responses right down to facial expressions add to the conversation!